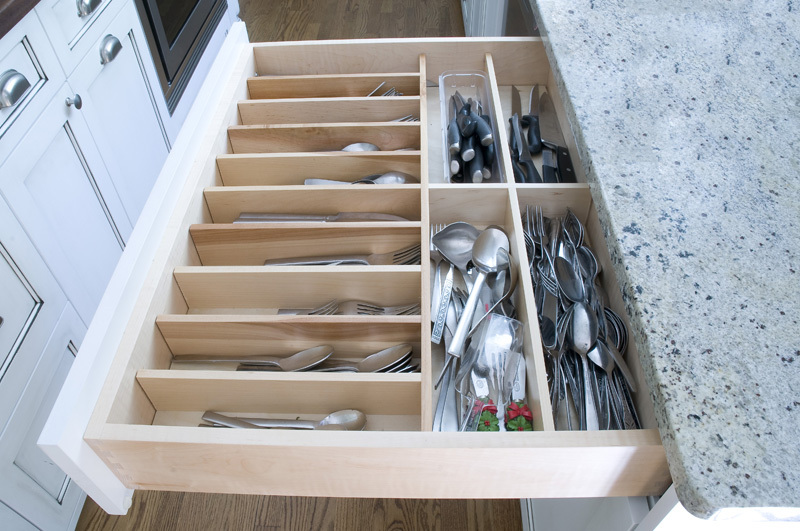 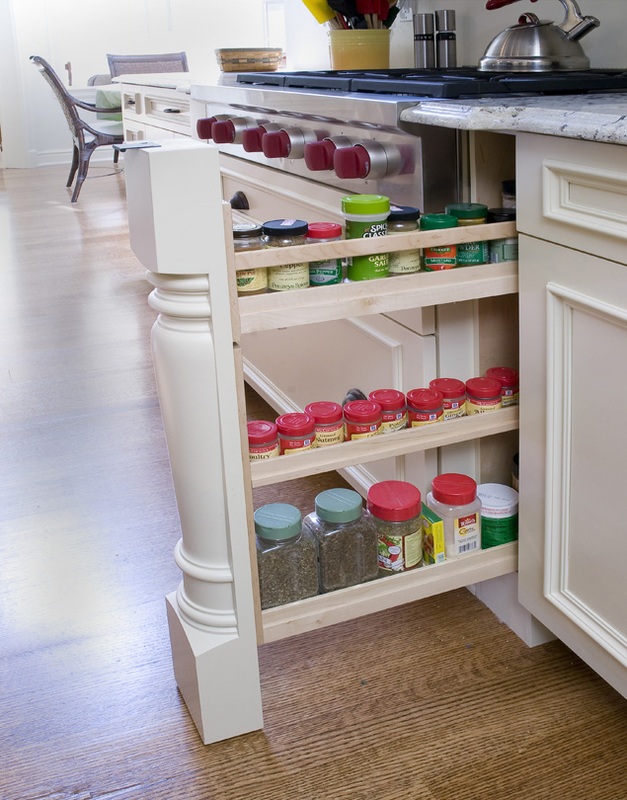 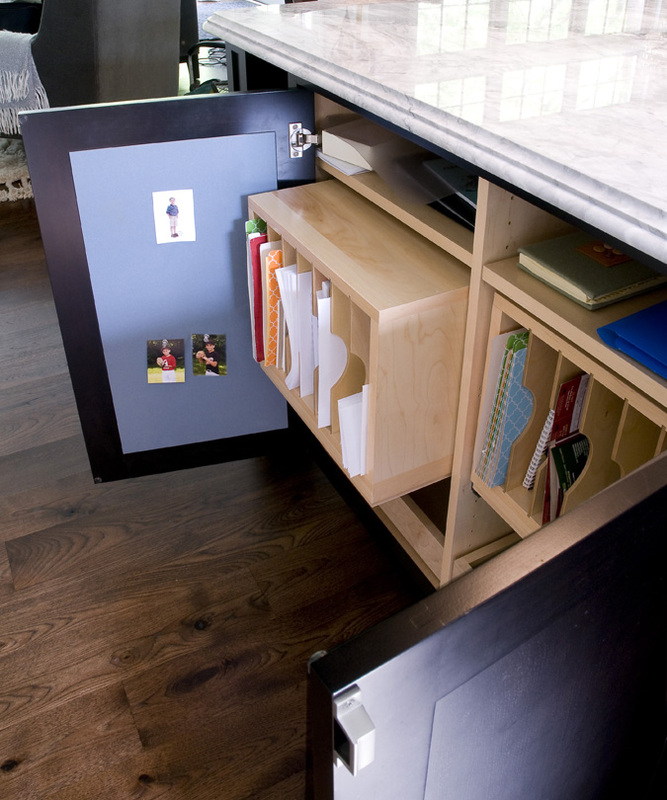 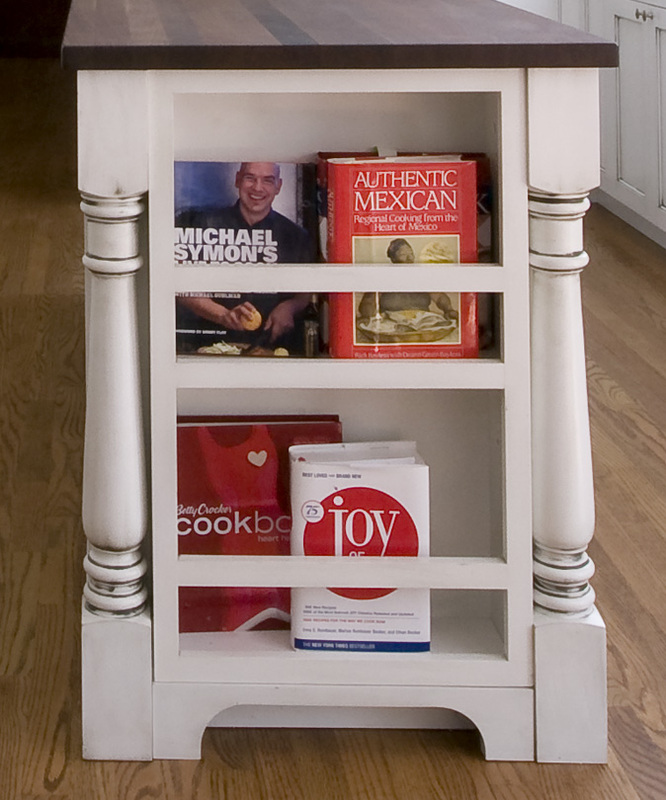 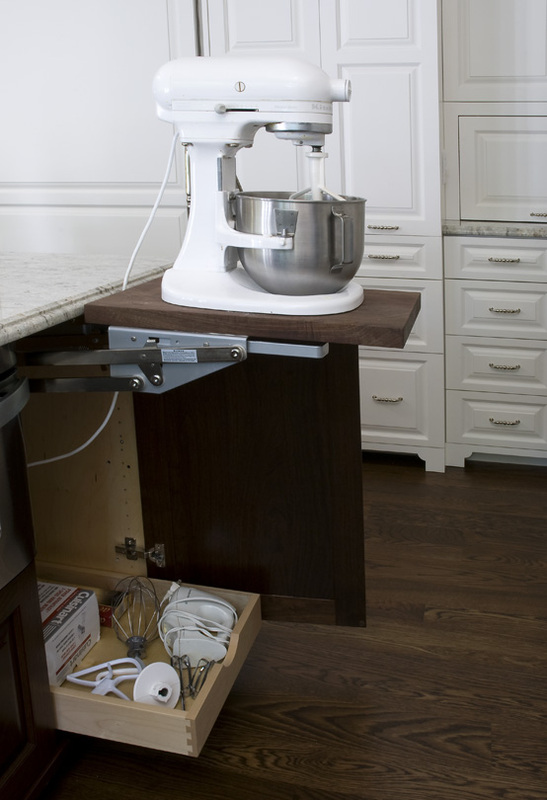 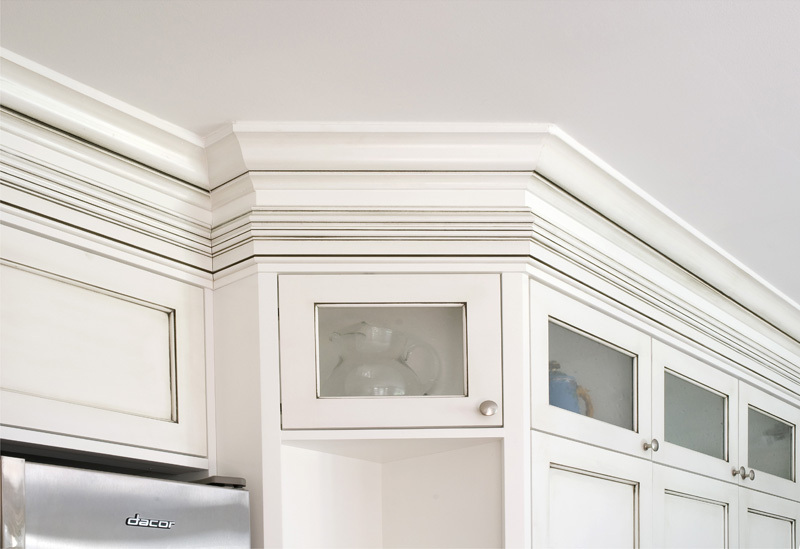 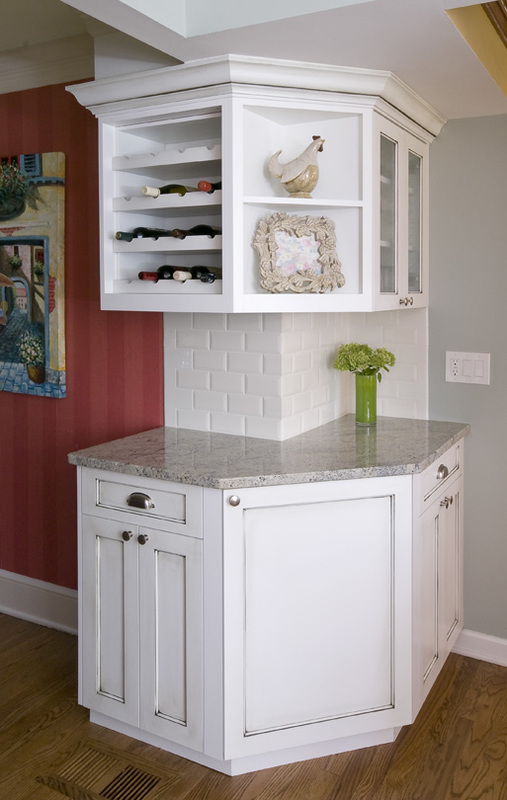 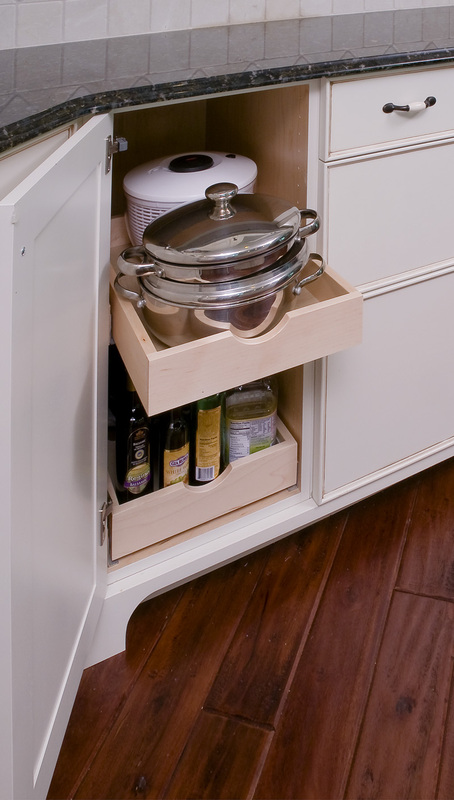 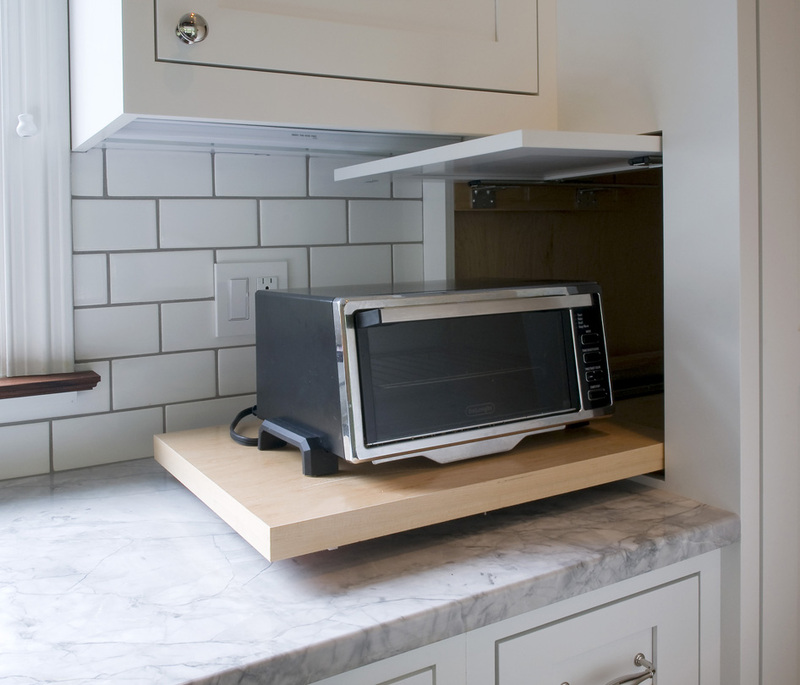 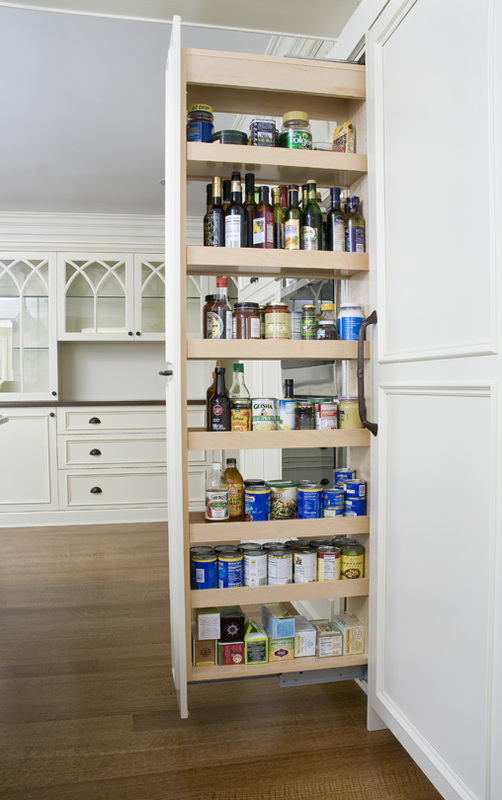 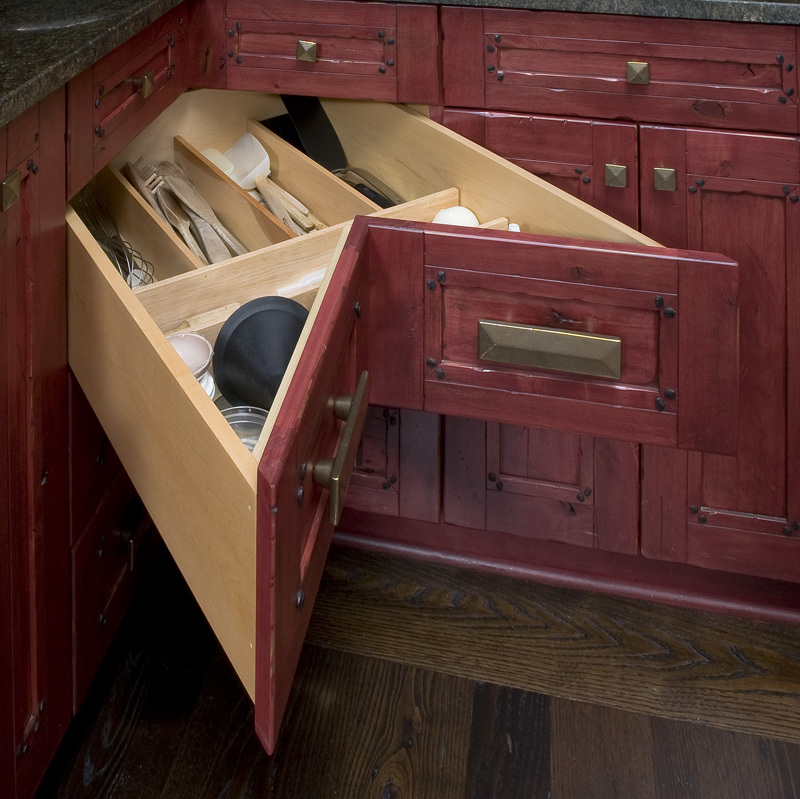 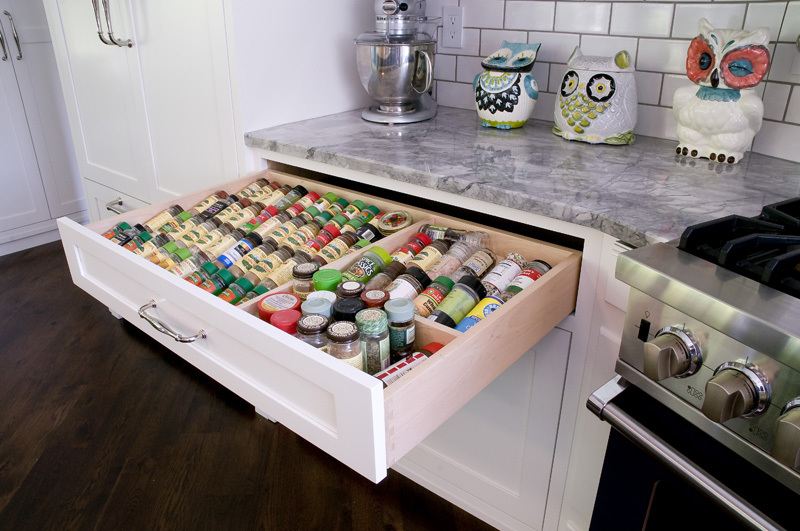 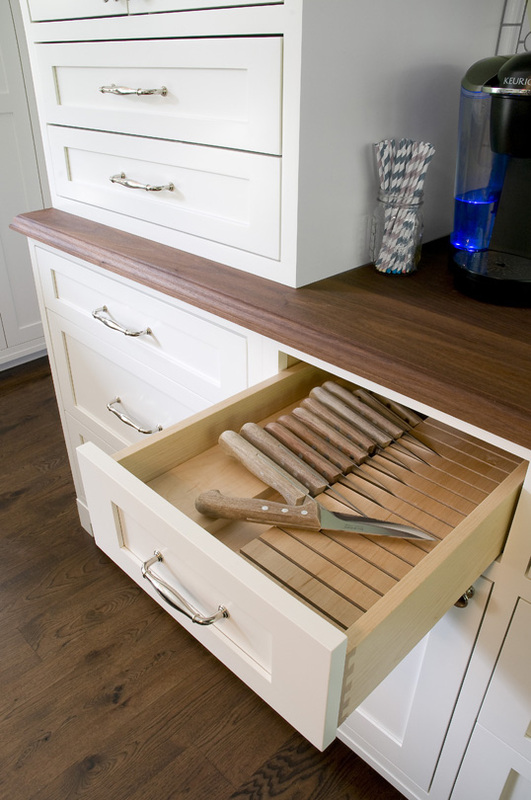 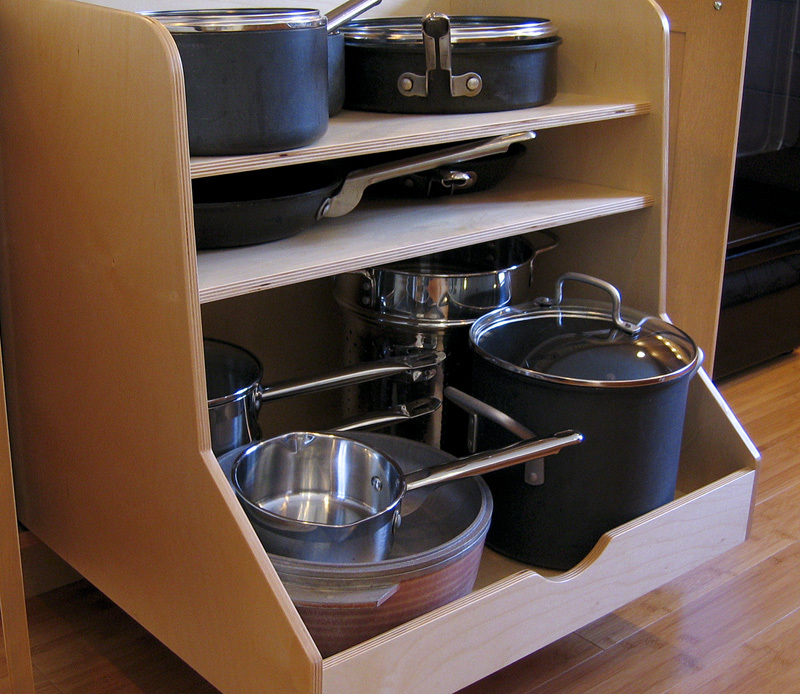 Woodworks Design will incorporate any custom organizing requirement you may have into your finished cabinetry. 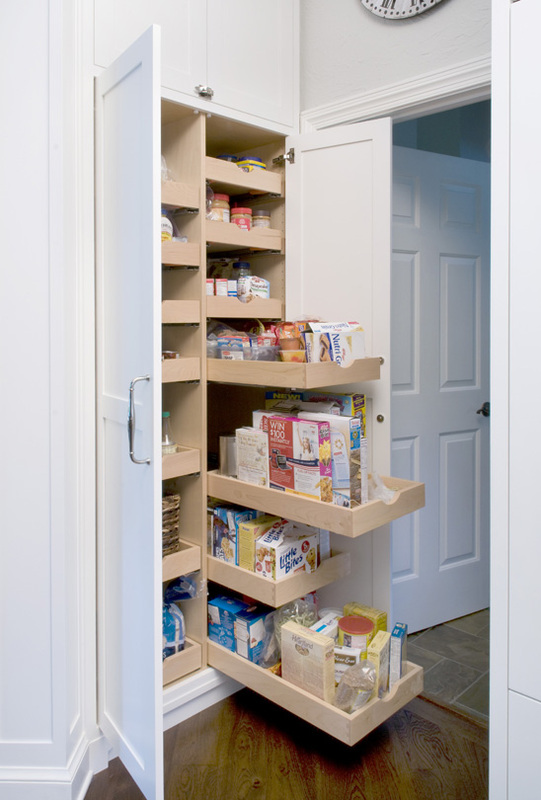 We can produce custom cabinet pullouts for any circumstance, corner cabinet drawers, and specialty inserts that reflect your specific needs for virtually any application. 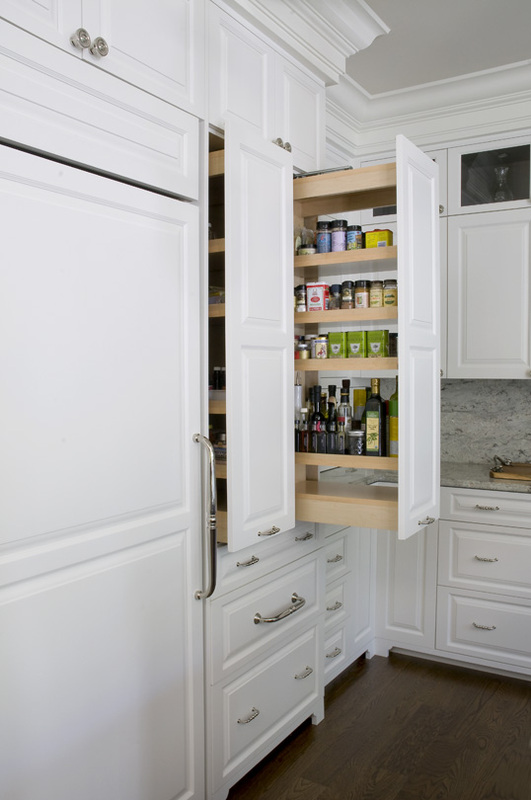 Let us help you find the solution that fits suites your situation.